Wood firing. September 2014. 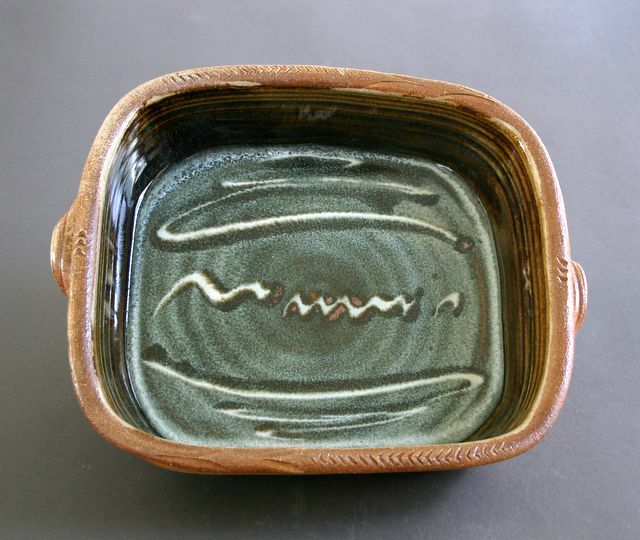 -- Oven dish with barley stalk rim and straw ash glaze over iron slip.